Jonah Hill On Hip-Hop And Coming Of Age In The Mid90s The writer/director of the film Mid90s joins Stretch & Bobbito for a lively conversation about how hip-hop influenced his life, how he used to collect tapes of their WKCR show, and why seeing LL Cool J in concert at 13 was a little weird. 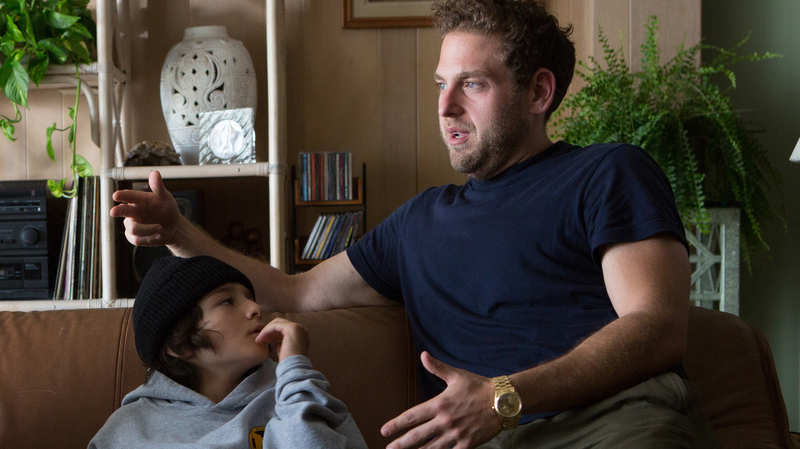 Writer/director Jonah Hill on set with actor Sunny Suljic on the set of 'Mid-90s'. Though he's already had a long career as an actor, 34-year-old Jonah Hill is finally making his debut as a writer/director in the new film Mid90s. But stepping behind the camera has always been the goal for Hill. Positive feedback from acting teachers early on lead him on a path that would bring him two Oscar nominations and the status in Hollywood to make the film he's always wanted to make. Mid90s takes place in Los Angeles in the 1990s and follows a 13-year-old kid named Stevie, who is navigating his tumultuous home life with the struggle to find where he fits in the social hierarchy. Hill says the story isn't autobiographical, but is instead pulled from observations and experiences he had as a kid growing up skateboarding and listening to hip-hop in 1990s L.A.
"It's personal in the sense that I felt lonely and alone and needed to find connection outside of my house. But that's not my brother, that's not my mom... So it's more just like characters I wanted to create, things that I noticed about people growing up and feelings about growing up." 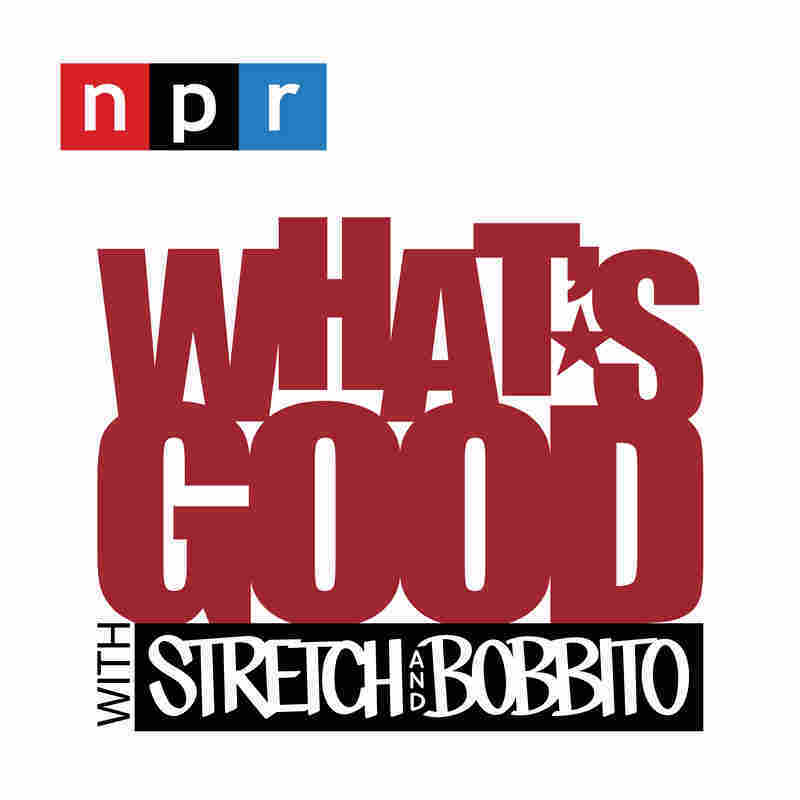 Hill joins What's Good for a lively conversation about how hip-hop influenced his life, how experiences from his own life inspired the film and why his first LL Cool J concert didn't go quite as planned. With skating and with hip-hop, it's important to do it correctly. Twenty years from now I know I showed respect and I did something that was important for me to do. And people hate on everything and that's life ... All the OGs that have seen it in rap or skateboarding are like, 'Dude thanks.' They don't want the kid from Superbad making, like, the skateboarding and hip-hop movie and I get it, bro. I get it. I would roll my eyes so bad they roll back in my head and I'd see the back of my skull. But I'm not an authority, I'm a fan. So for me to get to even chop it up with you guys means I made something worthy of talking to you guys. The scenes were written to those songs. Every single one. So I walked the financier and the producers through, like, this song for this scene, this is the song for this scene. And one of our producers was like, classic hip-hop, like '90s hip hop is notoriously impossible to get in movies because you have to pay the artists that they sample ... So we really worked hard at a time with very little money. And what really helped us. I got to give a major shout out to my friend and one of my heroes, Q-Tip, because I knew that he was going to give us a song and if he co-signed it and Tribe [Called Quest] co-signed it, you get one in like people show up because they respect him. I wrote him this letter about what that song represents in my life. A lot of kids I grew up skating with were Latino and Mexican ... Morrissey is massive in the Mexican community in L.A., he's like Michael Jackson or something. Whatever it is it's so ill, and so my friends who were Mexican and like their emo music they would listen to was Morrissey. I just picked up from them and learned from them, just wanting to be like your older friends and stuff. So when I would get really sad I would listen to Morrissey. I wrote him this really personal letter and he literally wrote back like, 'Good luck with Mid90s – Morrissey.' I was like are freaking out just to my producers and A24 like, Morrissey just said Mid90s!